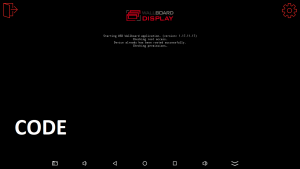 When you install the application on a device you will see a four digit code on the bottom left corner of the screen. 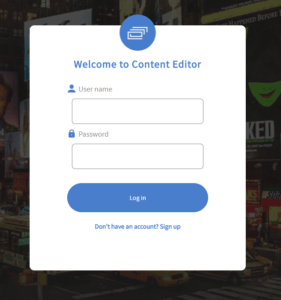 You have to login to the editor interface and add a screen: enter its four digit code and give a name to the newly added screen. 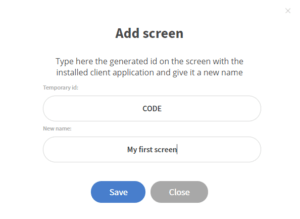 When finished, the name of the screen will appear in the corner (you can hide it by right clicking on the device and setting the display screen name value to hidden).